An oasis of tranquillity in a family atmosphere invites you to linger. 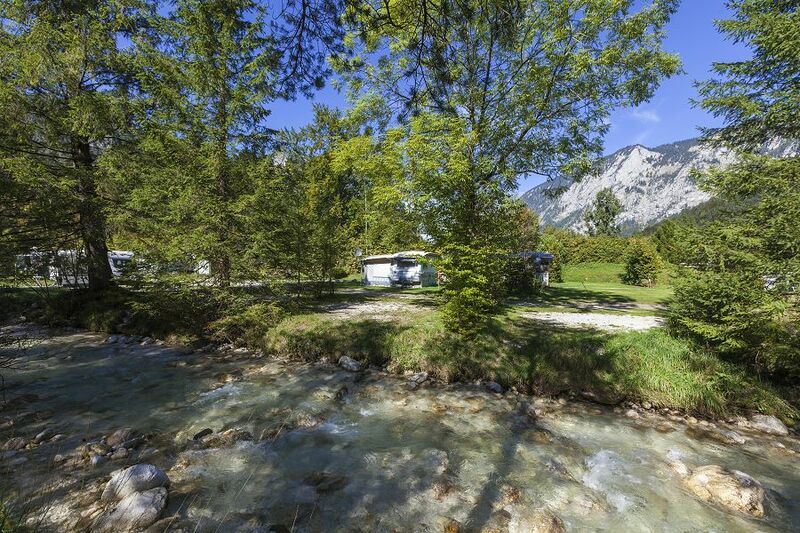 The camping site is located on the shore of a small mountain stream surrounded by the mountains of Berchtesgaden, the Lattengebirge and the “Sleeping Witch“, a few miles from Berchtesgaden. In every season it is an ideal starting point for excursions of all kinds. Even in winter the access to the camping site is easy, because all the roads and paths are cleared regularly, and are therefore easy to ride. 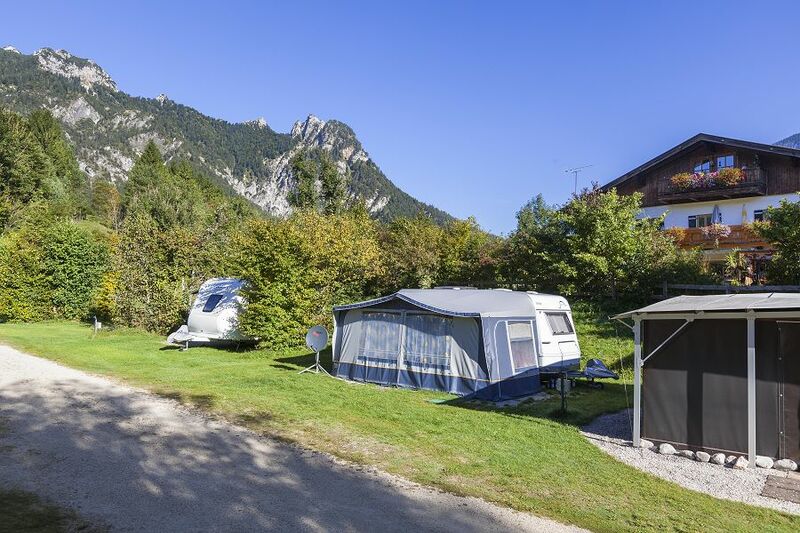 The site offers plenty of space for 20 permanent and 80 tourist pitches (total area about 2,5 hectares). On a large, separate lawn tents can be set up. Power supply is available at almost all pitches, with comfort equipment also water supply. The latter should be reserved in advance. A snack bar with friendly service will provide you with food and other things for daily use. A modern, well maintained sanitary facility, gas sales and a RV dump station are standard equipment. A shopping centre is located at 500m distance. In Salzburg (20km) you will find more shopping centres: the recently re-enlarged Europe-Parc and the Airport-Centre at the airport. We have free permanent and seasonal pitches. You can get sun spots, shady areas or pitches near a nice little mountain stream. Reservation is possible. Please fill the contact-paper. Usually except 3 weeks in November, the camping site is open year round. Access to the site is possible from 08:30 to 20:00 (also during lunch time).